ZenPad S Review – Pre Order Asus ZenPad Tablet, 7, 8, 10, C, Transformer, Zen Pad Note Everything you need to know about the ZenPad. Pre order deals, specs, review, where to buy. 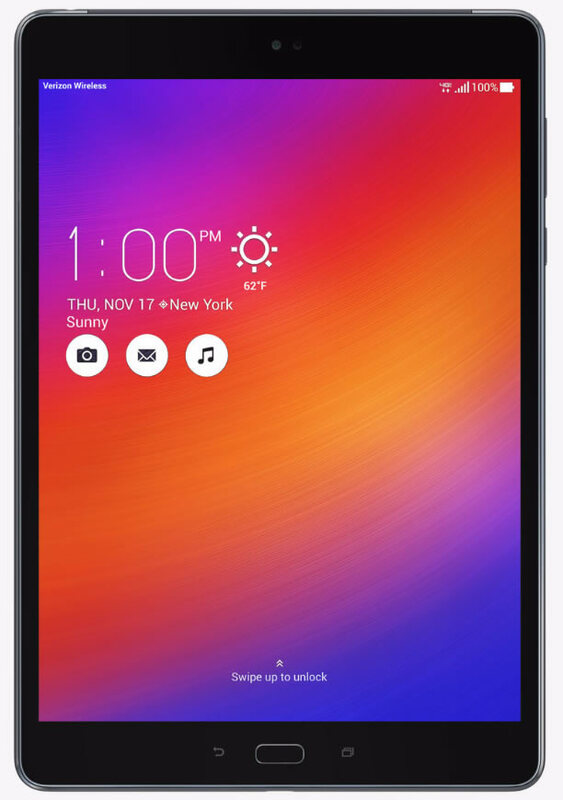 As we had a hunch a number of months ago, indeed the ZenPad Z10 is here and it’s a Verizon exlusive. The biggest difference between this model and the ZenPad 3S 10 would be in the processor. This Verizon exclusive comes with a LTE enabled processor which is a Snapdragon 650 Hexa-Core @ 1.8GHz with an Adreno 510 GPU. The Z10 comes with 3GB RAM and 32GB storage. More details to come! So this is a better option than the other one? Did you buy a ZenPad? Please share your own review with us! Send us an email and let us know your thoughts. It will help other people looking at buying a ZenPad. We would be grateful to offer those reviews to our visitors. Please subscribe to our mailing list for pre order notifications, deals, and ZenPad news! The Z Stylus will work only on the following ZenPad models: Z500M, Z580CA, Z300C, Z300CG, and Z300CL. They talk about every device under the sun. We are dedicated to one topic only. 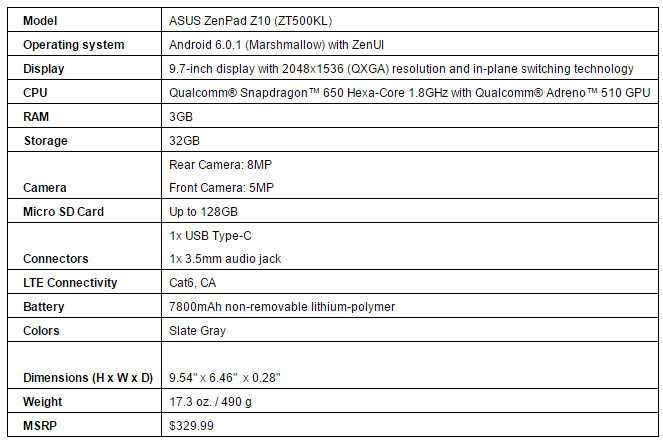 Asus tablets. We won't distract you with other brands or other devices. It's Asus ZenPad content, guaranteed. Aside from the occasional vs. article, we will maintain our focus on our favorite brand, Asus. to detail as ZenPad.org. Ready for the Zenfone 3? This site is not endorsed by nor affiliated with Asus in any way. The ZenPad® and Asus® trademark, logo and products on this site are the property of ASUSTeK Computer Inc.® We do not in any way, claim to represent or own any of the trademarks. 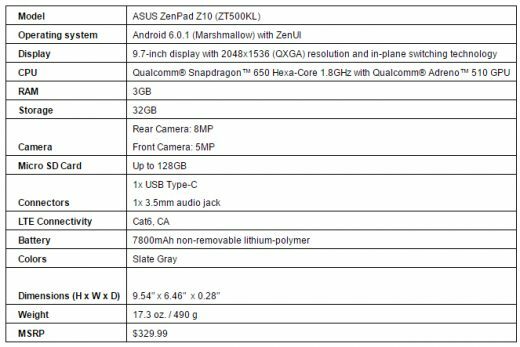 © 2019 ZenPad S Review – Pre Order Asus ZenPad Tablet, 7, 8, 10, C, Transformer, Zen Pad Note. All Rights Reserved.